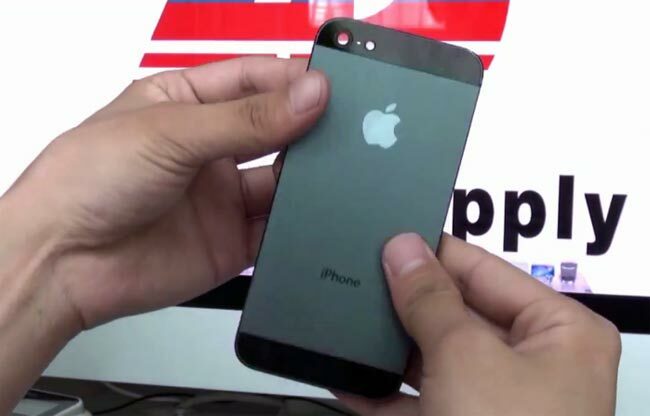 We have already seen some photos of what is reported to be the new back panel for Apple’s next generation iPhone, and now we have a video of the iPhone back panel compared next to the iPhone 4S. As you can see in the video below, this new iPhone back panel is considerably larger than the existing iPhone 4S, which would indicate that it will feature a 4 inch display as we heard previously. We have no idea if this is actually actually the new back panel on Apple’s next generation iPhone, although it looks exactly like the previous photos we saw. Apple is expected to launch their new iPhone some time in September of October of 2012, which would be twelve months on from the launch of last years iPhone 4S.